His passion for wheels started young. Cameron Conover remembers walking through the parking lot of a community pool, checking out the cars. “I was a seven year old kid, more interested in cars than in swimming,” he says. By the time he was a young man, Cameron was building a Volkswagen in his Summerfield garage with his mentor, who had worked in professional racing. Cameron, then a GTCC student, worked for pizza. “When we started this he said, ‘Don’t try to make this into a job.’ He said, ‘Don’t do it.’ He was very worried I would go overboard with it,” Cameron says. He didn’t listen. 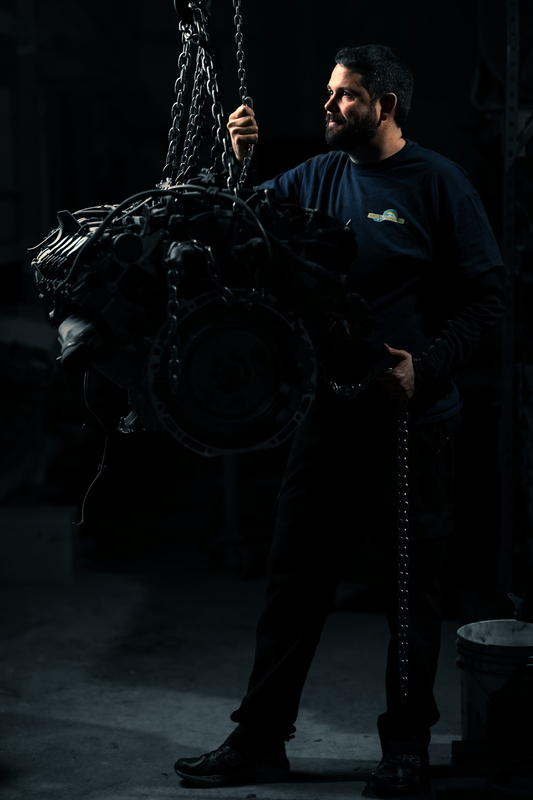 For the last decade, his love of vehicles has taken him around the country, working for professional and amateur Volkswagen and Lamborghini race teams. Now he’s transitioned to a slightly less flashy – but no less important – gig with the Raleigh-based Wheels 4 Hope, a nonprofit that rehabs donated used cars for individuals in need. The Greensboro branch of Wheels 4 Hope works with local organizations like the Greensboro Housing Authority, Delancey Street Foundation and Mary’s House to match people with suitable cars. Cameron’s the guy that makes sure every vehicle is in the best condition for its new owner, who purchase the cars for $500. Each car comes with a six-month warranty, and Cameron has a tight budget to make sure the vehicle is in good condition. They match six vehicles a month with qualified recipients. Cameron works one-on-one with each buyer, delivering them the independence of their own vehicle. “Part of the orientation I do is a walk around of the car — basically what to expect, how to change your tire, how to check your oil …all of the fluids, tire pressure, how to jumpstart the car,” he says. 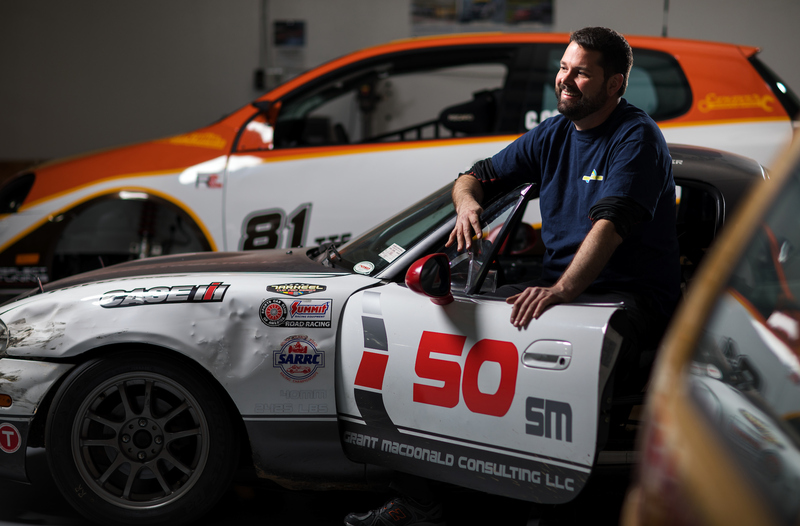 Cameron still builds race cars, and races Volkswagens and Mazdas in his spare time through his own company, Conover Motorsports LLC. But Wheels 4 Hope has become a new avenue for his passion.